Pongal is an important festival in Tamilnadu.It is one of my favourite festivals.when we were growing up my uncles,aunts,cousins gather in my house and we all used to celebrate together for three,four days.Food was an important part in any festival especially Pongal.The celebration goes on for three days in my house,the second day is sankranti or pongal day on which we make sakkarai pongal or the sweet pongal. My mother used to make Sakkarai Pongal in a traditional patram called 'Vengala Panai'decorated with Manjal kothu.Along with Sakkarai pongal she used to make Special kozhambu with all vegetables and five different vegetables(curry).Sweet Pumpkin curry used to be a special one on pongal or sankranti day.There are two three ways of making this sweet pongal.I have made it after making a thick syrup of jaggery called "pagu"which gives more shelf life to the pongal. I have mentioned two measurements for jaggery and ghee if you have a sweet tooth use a little more jaggery and add a little more ghee for more taste. Roast the yellow dal or moong dal till it becomes slightly brown. Add the rice give it a nice stir in the same pan and switch off the stove. Wash the rice and dal.Add four cups of water and pressure cook for three whistles and five minutes. In the meantime heat one cup of water and add powdered jaggery,Let it dissolve totally. If you want to speed up use hotwater to melt the jaggery. Once it dissolves totally filter it for impurities. Heat a tbs of ghee in a small pan fry the broken cashew nuts till light brown,add some raisins and keep it aside. Heat the filtered jaggery water and let it thicken. In the meantime the rice and dal would have cooked.If the rice is too thick add a little hot water or milk to loosen it.Mash it well. Add it to the jaggery water and mix well. Let it thicken a little.add cardamom powder,fried cashewnuts,raisins and edible camphor and rest of the ghee. 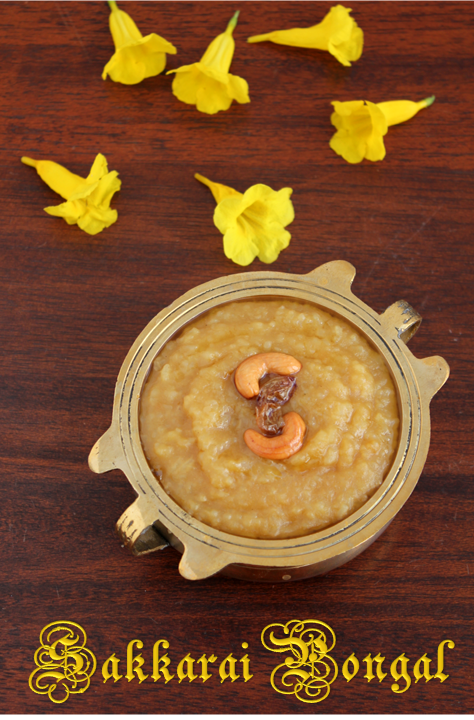 Use Paagu vellam for best results.Colour of the vellam or jaggery determines the colour of the pongal. Use good quality ghee for nice aroma. Some people use Nutmeg powder along with cardamom and edible camphor. 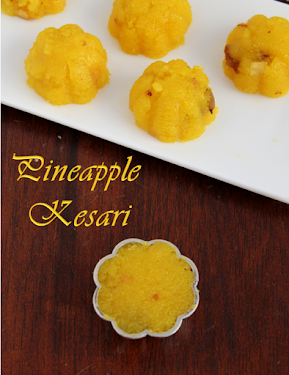 As time goes the sweet pongal becomes thicker.If you are serving after few hours heat it a little and spread a little ghee on top to get the best taste. 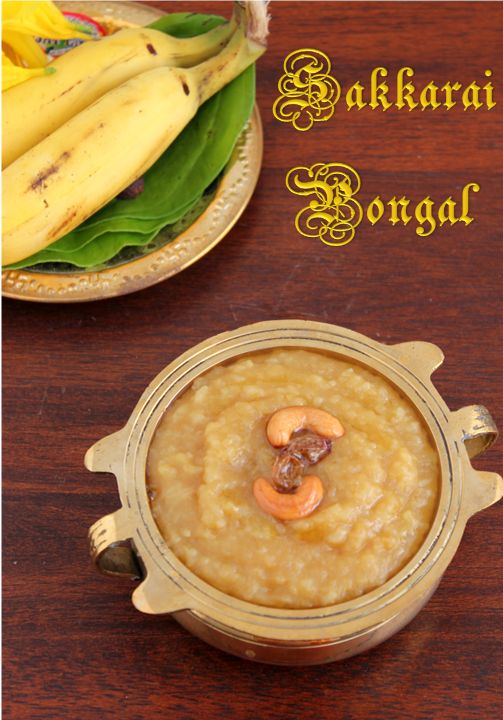 wishing u a very happy pongal....this looks perfect. 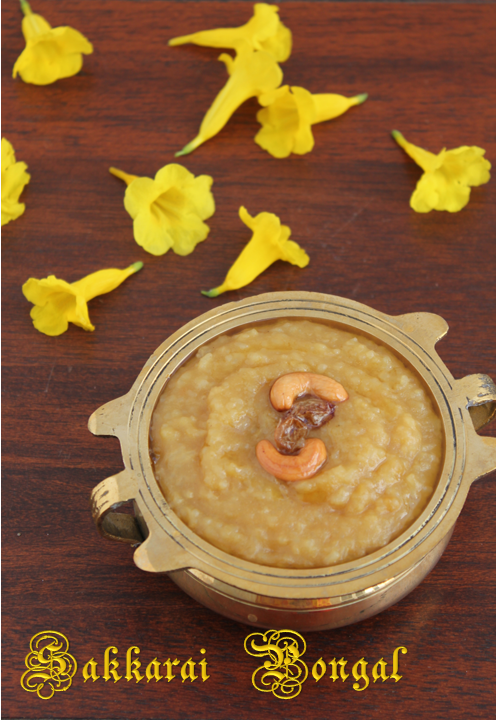 Pongal looks divine, Happy Pongal to you..